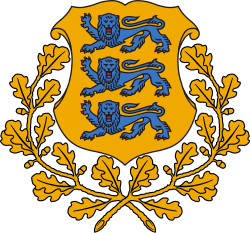 All official holidays in Estonia are established by acts of Parliament. February 24 Independence Day iseseisvuspäev National Day – celebrates the declaration of independence in 1918. Moveable Sunday Easter Sunday ülestõusmispühade 1. püha Commonly known as lihavõtted. June 23 Victory Day võidupüha and jaanilaupäev Celebrates the victory in the Battle of Võnnu during the Estonian War of Independence. June 24 Jaan's Day or Midsummer Day or St. John's Day jaanipäev Jaaniõhtu is celebrated in the night before Midsummer Day. August 20 Day of Restoration of Independence taasiseseisvumispäev Celebrates Estonia's restoration of independence in 1991. March 14 Native Language Day emakeelepäev Kristjan Jaak Peterson's birthday. Moveable Sunday Mothers' Day emadepäev Held on the second Sunday of May. June 4 National Flag Day Eesti lipu päev Date when the Flag of Estonia was first consecrated in 1884. June 14 Day of Mourning and Commemoration leinapäev Commemorating the victims of Soviet deportations in 1941 and 1949. August 23 European Day of Remembrance for Victims of Stalinism and Nazism kommunismi ja natsismi ohvrite mälestuspäev Day when the Molotov–Ribbentrop Pact was signed in 1939. Moveable Sunday Grandparents Day vanavanemate päev Held on the second Sunday of September. Moveable Sunday Fathers' Day isadepäev Held on the second Sunday of November. November 16 Day of Declaration of Sovereignty taassünni päev Estonian Declaration of Sovereignty, which was issued in 1988.